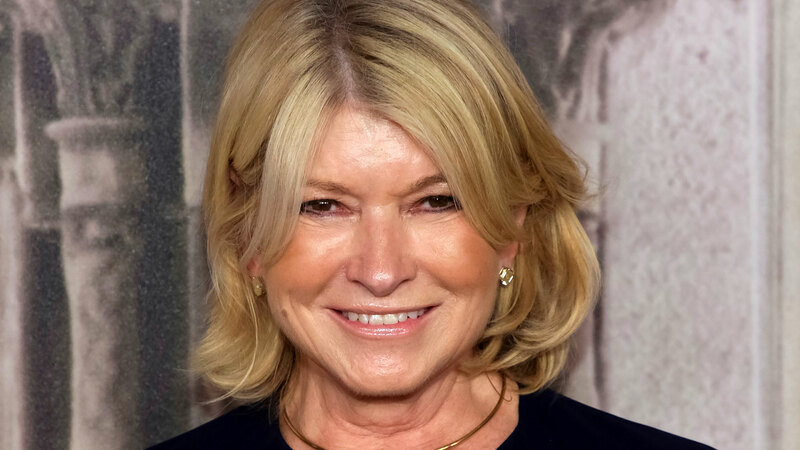 In case you missed it, food, home and everything in-between expert Martha Stewart released her latest cookbook, Martha Stewart’s Grilling, a few days ago. Chock full of more than 100 grilling recipes and techniques, this nearly 300-page cookbook is basically the grilling bible you never knew you needed until now. And on Stewart’s press tour promoting the book, she swung by The Late Show with Stephen Colbert to not only voice her disdain for a certain breed of men but also shed a little insight on a certain part of fish we should be eating. On the talk show, Stewart taught Colbert how to make both fish tacos with cabbage and grilled stone fruit fool, which is basically a layered-dessert dish with grilled fruit. While taking Colbert step by step, she reveals she likes to grill the whole fish — yes, head and tail included. Specifically, it’s the cheek of the fish she says we should be eating. “Yeah! The cheeks — the cheeks are good,” Stewart assures Colbert. “Seems like a lot of work to eat the cheeks,” he responds. Welp, note to self: Eat fish cheeks? Earlier in the interview, while explaining why she wrote an entire cookbook about grilling for the first time in her career, Stewart specifically called out “those” men who stand in front of the grill and squeeze out all of the juices from the meat. Stewart’s grilling cookbook is available on Amazon now.